Please take a few moments to complete the HIPAA compliant intake form below. Once you have entered your information, and reviewed the consent to services, be sure to click the submit/consent button. Dr. Doni will review your appointment request and her team will be in touch via email. Please rest assured that all of your information will be kept confidential. If you choose to schedule your appointment online, we'll ask you to enter your name and address again in Step 4. So we can reach you if needed prior to appointment and for appointment reminders. 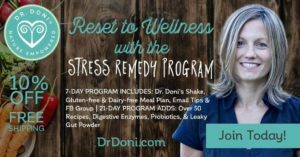 Where would you like to meet with Dr. Doni? How did you hear about Dr. Doni? What are your primary health concerns? Please also tell me about your medical history including hospitalizations, surgeries, imaging and procedures with dates. Please list Prescription Medications, Non-Prescription Medications, Vitamins/Herbs/Other that you are taking. Donielle (Dr. Doni) Wilson, ND graduated from a five-year Naturopathic Medical Program at an accredited Naturopathic Medical School, Bastyr University in Seattle, Washington. She attained a doctorate degree as a Doctor of Naturopathic Medicine and a certificate in midwifery. Dr. Doni is licensed as a Naturopathic Physician in Washington State and Connecticut. She received Bachelor’s Degrees in nutrition and general science from Oregon State University. New York State does not license Naturopathic Physicians to practice medicine. The practice of the profession of medicine is defined as diagnosing, treating, operating or prescribing for any human disease, pain, injury, deformity or physical condition. Dr. Doni is not an MD and does not practice medicine in the state of New York. Furthermore, her services are not meant to replace or to be a substitute for those of a licensed medical practitioner. If you seek the care of Dr. Doni in New York, she advises that you seek the concurrent care of a health care provider licensed in New York State. In New York State Dr. Doni functions as a health consultant and focuses her practice on the enhancement of health. She uses her education and experience to give you suggestions. You agree to the physical contact necessary for assessment of your case and you make decisions that are right for you about whether to use her suggestions. In Connecticut Dr. Doni is a licensed Naturopathic Physician. She is licensed to diagnose and treat, perform physical exams and order labs and imaging. She may discuss substances that have not been subject to double blind clinical studies or FDA approval or regulation. You assume the responsibility for the decision to take any natural remedy. If you feel you are having any adverse reaction then stop taking all supplements immediately. If you are pregnant or nursing, confirm the safety of any supplements with your obstetrician or pediatrician. Recognize that, as an effect of the suggestions provided by Dr. Doni, the signs and symptoms of your medical condition(s) may diminish or disappear. It is important that you are aware of and understand the office policies and procedures for fees, billing, scheduling and shipping. Please review that information now by clicking here. I have read and understand the information provided. I agree to the services provided by Dr. Doni Wilson, ND.